Healing journey: The Aussies who took part in the rehabilitation program Timor Awakening. A LEADING clinical psychologist has praised the “quality healing” of the rehabilitation program Timor Awakening, which is helping veterans deal with PTSD, substance abuse, isolation and thoughts of committing suicide. 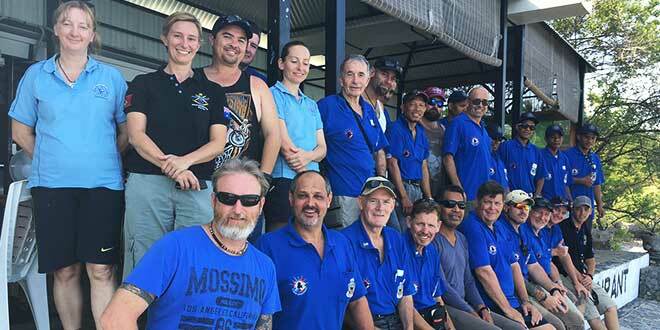 Brisbane-based Dr John Barletta, who volunteered as a consultant on the Timor Awakening program, said “it has been inspiring to see veterans and leaders connect, support, guide, challenge, and educate one another” and “regain a sense of worth in their lives”. 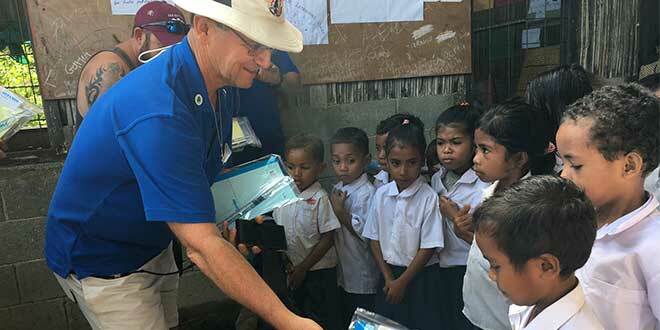 The one-year program, led by Deacon Gary Stone and the Veterans Care Association with support from RSL Queensland, includes an innovative immersion experience for veterans in Timor Leste, a country where many younger veterans have served. Greater support for veterans has been identified as a national priority to deal with PTSD, depression, anxiety, and alcohol and substance abuse, as well as a staggering suicide rate amongst the veteran community. Dr Barletta recently accompanied veterans to Timor Leste, providing his own specialist guidance and positive psychology strategies. “The veterans, though wounded in certain ways, have been quite willing and able to use their relative strengths to be future-focused, and work on integrating their learnings from Timor Awakening to change their lives toward greater health and wellbeing,” he said. 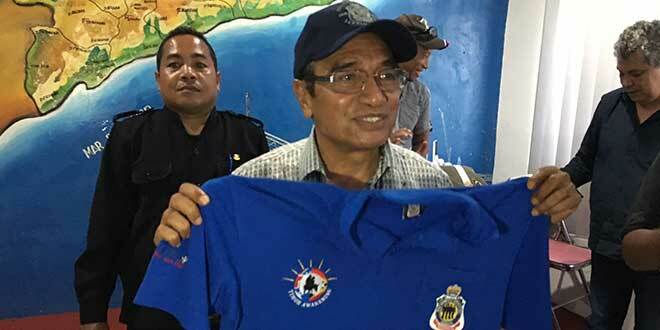 Dr Barletta said veterans visiting Timor Leste (for most, many years after they served there) were able to see that their efforts “amidst the pain and destruction and suffering” had resulted in change and created hope in people’s lives. “Even on the very first day in Dili, our veterans were able to say ‘what I did was worth something’,” he said. “For a lot of the veterans the most powerful thing was seeing children, bathed and well clothed and learning in schools. This is the next generation in Timor, and it really touched our guys to see their contribution as servicemen had helped create this. Dr Barletta said for many veterans, medically discharged after their national service, each day was a challenge. “How do we get them engaged?” he said, noting that it was often a cultural struggle for veterans to blend back into Australian life. In his talks to veterans, Dr Barletta said he explained it was their responsibility to build in positive experiences each day including an exercise regime, attending to their psychological and relationship wellbeing, developing hobbies and voluntary work. “And I would say ‘this stuff is not going to happen by miracle. You can cross your fingers, you can pray’. Hope is wonderful, but at the end of the day hope is not a strategy. There needs to be a plan,” he said. Dr Barletta said he would continue to work with the Veteran Care Association team, which consisted of two psychologists, a nurse, as well as Deacon Stone and his son Michael Stone, a former army major. “Let me reiterate … I believe that the program has sound psychological underpinnings, and with further work will be even more proficient at catering to the complex needs of veterans,” Dr Barletta said. Brisbane visitor: President Francisco Guterres. THE newly-elected president of Timor Leste, former guerilla fighter Francisco Guterres, will lead a 30-person delegation of veterans to Brisbane this Anzac Day. President Guterres, a Catholic, was a commander during a two decades-long armed struggle against Indonesia, which invaded Timor Leste in 1974. The visit by Timorese war veterans to participate in Anzac activities honours the commitment of Australian troops supporting the people of Timor Leste – both in the Second World War and since 1999 when Australian troops have helped restore civil order after a fractious vote for independence. As Timor Leste’s new head of state, President Guterres has become a keen supporter of Timor Awakening, a rehabilitation program for Aussie Veterans, led by Brisbane archdiocese’s Deacon Gary Stone, and his son, former major Michael Stone. Timor Awakening provides healing and health for veterans, and includes a 10-day trip to Timor, to visit significant sites of conflict for both Timorese and Australians. A recent Timor Awakening contingent held prayer services at Bazartete and Balibo, which are sites of military importance for both nations. “Everywhere we go in Timor it becomes a big local event with up to a thousand people coming,” Deacon Stone said. President Guterres who has described himself as “the son of a poor family, of humble people” is keen to promote ties between Australian and Timorese veterans.